A prodigiously talented pair of English twins, the Detmold brothers made their publishing debut at the age of 13 in 1899 with Pictures from Birdland. 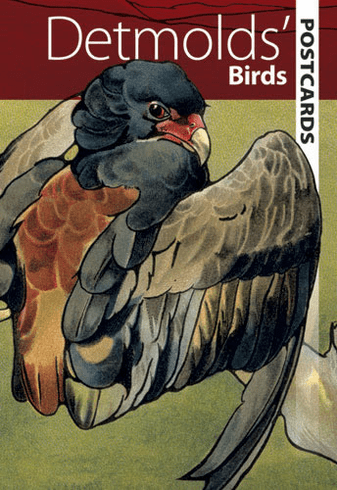 These 12 postcards offer highlights from their collection of realistic avian illustrations. Colorful images include an osprey, woodpecker, penguin, toucan, cormorant, and other birds.